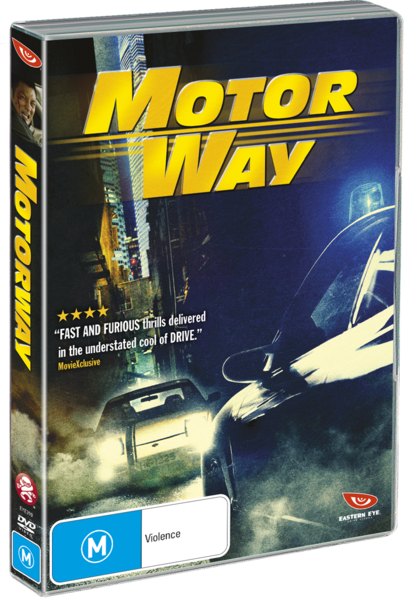 Released on Blu Ray and DVD. My personal interest in director Soi Cheang’s works dates back to my 2004’s “Love Battlefield” review. Quoting myself in the 2004: “Director Soi is a brilliant director that knows how to ‘cheat’ the audience but not in a bad way, but rather a terrific way.” Back then, Soi was only starting out in his career and that movie took me by the storm and by the end of the film, I was overwhelmed by how much I cared and emoted with the characters and the situation. Since then, Soi continued to venture further into this path and made some wonderfully dark and character driven thrillers like “Dog Bite Dog“, “Home Sweet Home” and his first encounter with Shawn Yue in “Shamo”, before Soi began his association with Johnnie To’s Milkway Films beginning with 2009’s “Accident”. 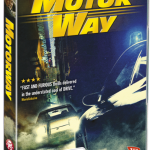 In many ways, “Accident” is Soi’s first half-hearted crack at commercial cinema before going full on commercial for the first time in his latest corroboration with To in “Motorway”. It is not necessary a bad thing, as there is still a certain degree of emotional core in his work, but it lacks the character of his earlier films. 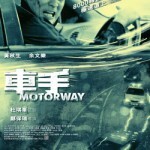 Despite, “Motorway” comes off engaging and entertaining, but with a team of Soi and To, one cannot stop the flow of greater expectations and in turn, “Motorway” comes off as one of the pair lesser works in comparison. Having met Shawn Yue earlier this year at the “Love in the Buff” world premiere, you can tell that he is a man full of confidence and is now at a stage and age where he is ready to really carry the film and burden the shoulders of the male leading roles. Therefore, it is all the more disappointing to see him fail to add anything to his character and to be totally honest, he is fast becoming more wooden and stoic than ten years ago. In the Hospital scene, which was supposed to be film’s most dramatic moment, Yue failed the audience by covering his faces when he is weeping in tears. For god’s sake, it is his only moment in the film where he can display genuine emotions and set up a finale where the audience can actually care about. Instead, we are left with the audience starring at how cool the car drifting in tight angles is rather than caring about the person driving the car. If Yue continues to act like this, he is simply wasting his time and opportunities to become a truly long term box office draw card or acting award nominations. However for the sake of the future of Hong Kong cinema, I sincerely wish to be proved otherwise. On the other hand, Anthony Wong is simply amazing in his role as the retiring cop who has done it all before. Wong is the reason why the film possesses an emotional core and in many ways it is him, not Yue that carries the burden of engaging the audience along for the ride. He is the perfect example of an actor in a car chasing scene, where the audience cares more about his well-being and safety rather than how fast the car is going or how cool the next drift will be. In many ways, the film relies so much on Wong, that the film essentially ended when his involvement with the film departed as well (trying my best to avoid spoilers). Adding to the mix is a strong supporting cast of Johnnie To’s regulars. Michelle Yip stands out in a miniature role as Wong’s supporting wife. Yip’s teary eyes and expressive emotional face in the hospital scene is a perfect example of how Yue should have approached the situation. Another actor that Yue should take a page out of is long time supporting actor Gordon Lam as their police boss. Lam despite being stoic in the role is able to portray a level of depth in his character and the way he handled himself at the hospital with unspoken words and his red watery eyes tells a thousand words. In many ways, Lam is probably due for some recognition and his hard work throughout the last decade has not been gone unnoticed. Others like Barbie Hsu are wasted in a paper-thin doctor role.